This listing is for a Digital File pattern, that is downloaded to your computer as a file. You will not receive a printed pattern from me. 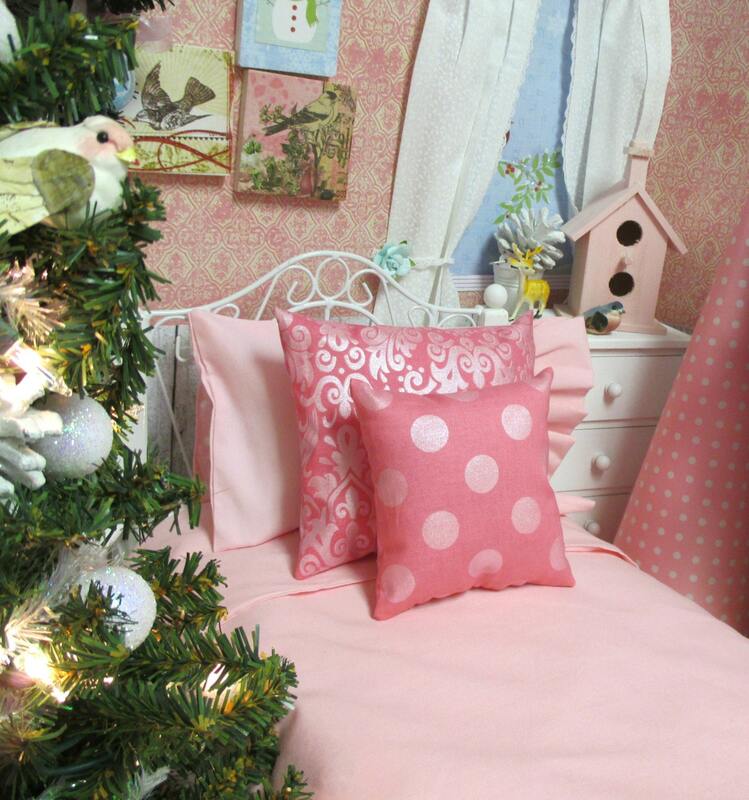 After you purchase this pattern for the doll comforter bedding set, you will be directed to download the file. If you have problems, you shouldn't, but if you do, contact me and I can help you navigate what to do. 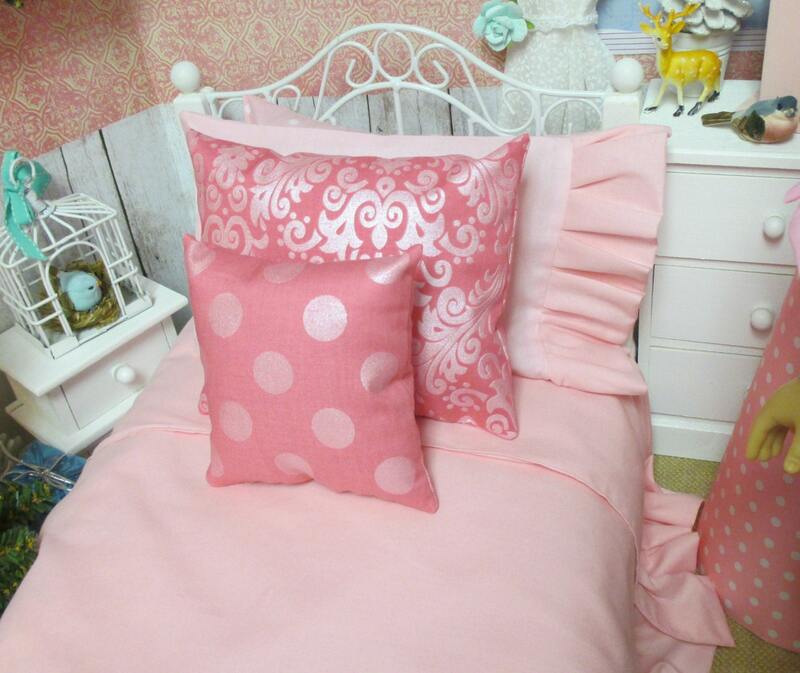 This pattern will guide you with full pictures and directions in making the comforter, and pillows in the picture you see on this listing. The bedding is made for an 18" doll bed. Pattern will help you make a ruffled comforter, pillowcase and two accent pillows. The items are easy, and the directions are simple to follow for making these items. The comforters in my shop are made using this pattern that I have designed and created. Thank you for choosing my shop! Super easy and cute pattern! Just made this set for my little girl for Christmas!